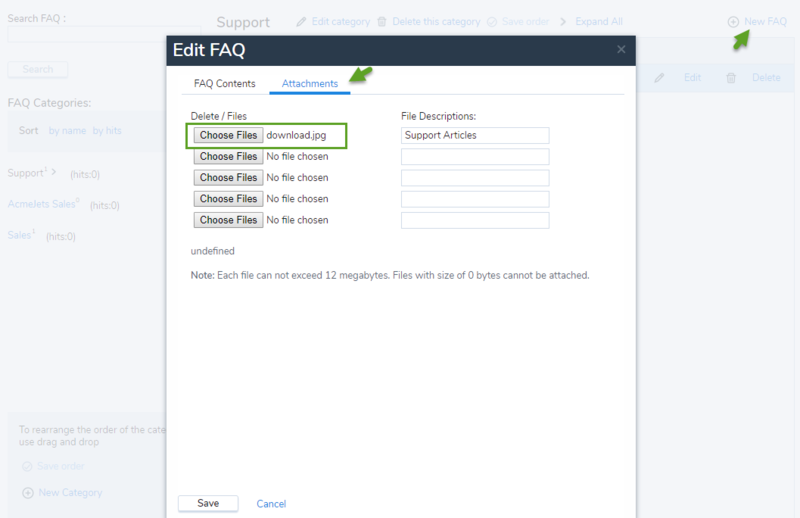 You can add images, or files to an FAQ response with just a few clicks. Click the image link from the rich text panel. At the prompt for URL, specify the URL location of the desired image. Note: Image should be hosted on a web server.